Meltem is the Urban Efficiency & Climate Manager with WRI Turkey Sustainable Cities, where she is currently involved in supporting The SE4ALL Building Energy Efficiency Accelerator (BEA) Initiative. As part of her role, Meltem works with city agencies to assist with the management, implementation and outreach for a suite of policies designed to advance energy efficiency in buildings. Before joining WRI Turkey, Meltem worked as a senior energy consultant with UNDP in the Nationally appropriate mitigation actions (NAMAs) for low-carbon end-use sectors in Azerbaijan Project where she was responsible for planning and conducting surveys, preparing technical groundworks, recommending building energy efficiency technologies and practices, planning and delivering trainings for capacity building. Meltem also worked as a Verification Consultant with EBRD in TuREEFF project where her role was to assess and confirm that the implemented investments in all newly built housing and whole-building refurbishments financed under TuREEFF are on track to achieve the planned energy savings. Prior to her consulting role, she practiced as an Energy Engineer in multiple firms where she was in charge of providing technical expertise to the development of sustainable building design projects as well as management of multi-disciplinary project teams. 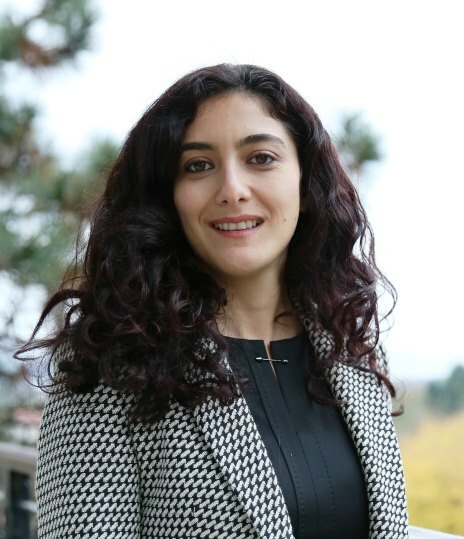 Meltem also has a strong research background in high performing building field as she worked as a researcher in prestigious research projects (POLYCITY, I3CON, CITYNET) funded by European Commission. Meltem holds double PhD degrees in Building Science from the Istanbul Technical University (Turkey) and in Energy Science from the Polytechnic University of Turin (Italy). Her PhD work focused on development of a simulation-based optimization tool for energy and cost-effective design of building, HVAC and renewable systems, simultaneously. Meltem also has an MSc. in Energy Science and Technologies, from the Institute for Energy at the Istanbul Technical University as well as a BA in Electrical Engineering from the Istanbul Technical University. Due to her multidisciplinary and diverse academic background, she has a good understanding of building energy behavior, renewable energy technologies and integrated whole-building design approach that are essential for achieving energy efficiency in the built-environment. She has authored or co-authored peer-reviewed papers on energy efficient building design and some of her works have been presented and published nationally and internationally. During her free time, she enjoys swimming, traveling and playing the piano.